Make it easy for customers to differentiate critical wiring systems. 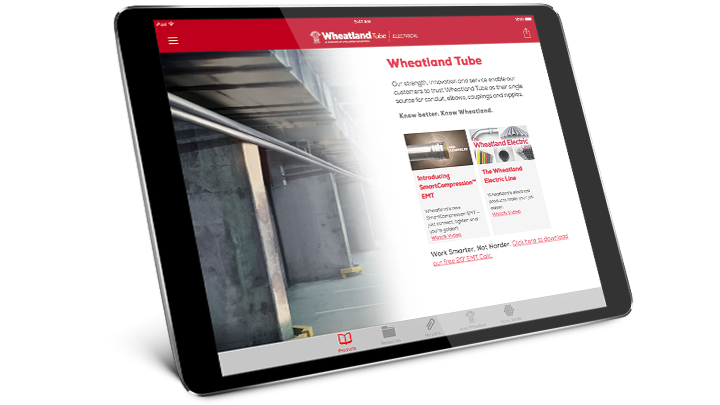 Offer the at-a-glance convenience of Wheatland Tube’s American-made steel electrical metallic tubing (EMT) and rigid metal conduit (RMC) in 8 vivid colors. Fire alarms, security systems, fiber optics, high- and low-voltage circuits, data circuits: without a system, trying to tell their wires apart can be tricky. Color EMT makes it easy ─ without the trouble of spray painting or taping. And not only does it look good, it’s also easy to install, reduces electromagnetic field exposure, shields against electromagnetic interference, and includes a proprietary ID coating for fast wire-pulling performance. Get complete details about our color EMT. See all of our color EMT and conduit resources.